I've still got questions, where can I go to get them answered? What is the UQ Research, Study and Experience Tour? 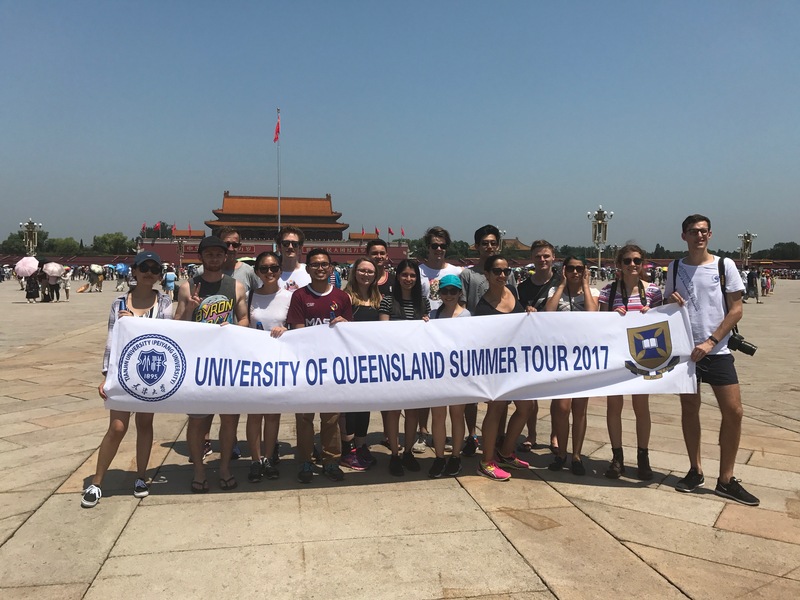 The UQ Research, Study and Experience Tour is an annual program organised by The Confucius Institute at The University of Queensland in collaboration with varying faculties across UQ. The four-week program is based at Tianjin University (TJU), one of the top 10 universities in China. Tour activities provide opportunities for participants to benefit from practical research experiences, develop a global view in their area of interest, and grow a deeper understanding in the Chinese language and culture. Tour dates this year are 24 June to 21 July 2018 (To be confirmed subject to flight availability). The tour provides a unique opportunity for UQ students to combine a practical research experience with overseas travel and exposure to a new culture and language. The design of the program allows students to develop their Chinese language skills for day-to-day use, develop an understanding and appreciation of the Chinese culture, and apply their knowledge of their area of interest to current research projects and practical tasks undertaken by research teams within TJU. Having an international experience as part of one's university degree can assist in opening doors to new opportunities and career pathways. Working closely with Tianjin University students and academics during the tour, students will have the opportunity to forge important and life-changing relationships and experiences. Applications are opened to currently enrolled students from all UQ faculties at both undergraduate and post graduate levels. Applications close COB April 19, 2018. In recent years a travel bursary of up to $500 per student has been available to support airfares for travelling students. Consideration towards funding towards the 2018 tour is currently being reviewed. Other UQ grants may also be available. The Confucius Institute at UQ will organise group bookings for flights to and from China on behalf of the selected applicants. Students will be expected to travel with the group and will not be able to change their flight itinerary. While Information will be provided on how to apply for a visa, students will be responsible for organising their own visa applications. As part of the visa requirements, students must have a passport that is valid for at least 6 months from the time of travel. TJU will provide subsidised accommodation within close proximity to the university campus. Students are expected to reside at the nominated accommodation throughout their time in Tianjin. 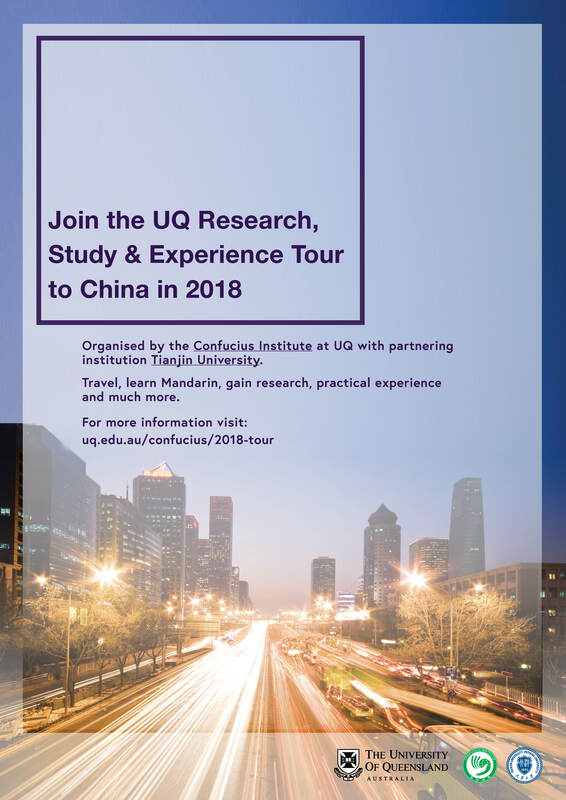 Find further information about the tour under 2018 UQ Research, Study and Experience Tour to China Student Information.